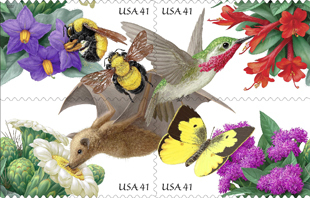 They are neat, and will definitely educate children about pollinators. Its funny this is the second garden stamp post for the past few days-and I have been planning one for a while, just egtting around to doing the photos. my wife brought some of these stamps home, much to my pleasure for I thought they were very cool. shame less letters get written these days. These flowers are gorgeous! I have met them in so many gardening guides!!! They are just wonderful!